Cantata The Insane Mother. PhD Thesis. Cantata The Insane Mother, op.14: composed for soprano, mezzo-soprano, baritone, solo contra bass, female chorus of thirteen, 3 flutes, 5 percussionists, 3 string quartets, and 4 contra basses (2001). Composition Dedication: to the memory of my father, Napoleon Stamatelos, my best friend and teacher. Cantata The Insane Mother World Premiere Information: Suzan Sondrol-Jones, soprano; Katherine Eberle, mezzo-soprano; Stephen Swanson, baritone; Kyle Gassiot, solo contrabass. The University of Iowa Chamber Orchestra, William LaRue Jones conductor. Clapp Recital Hall, The University of Iowa School of Music, Iowa City, IA, April 8, 2001. 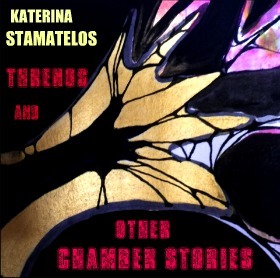 Cantata The Insane Mother served as my PhD Thesis and is based on the homonymous poem of Dionysios Solomos, the "national" poet of Greece. I chose this particular poem, because it was my father's favorite one: I had not read it until after his death. 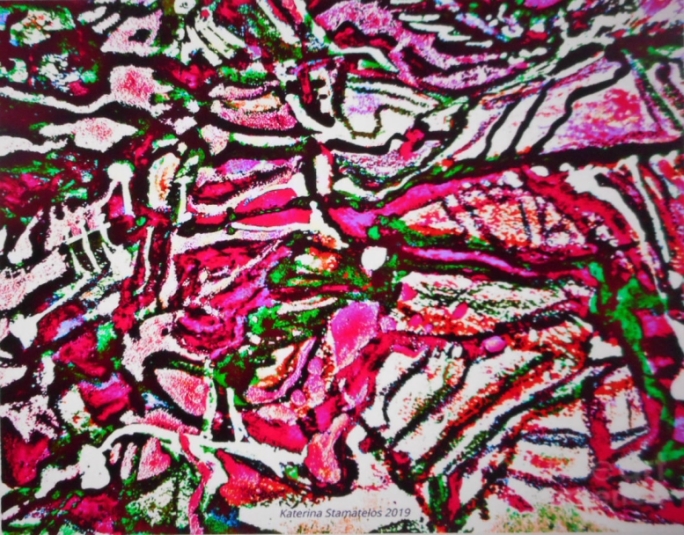 The decision to write music for this incredible poem was an instantaneous one and was mostly based upon the fact that this poem is music by itself. 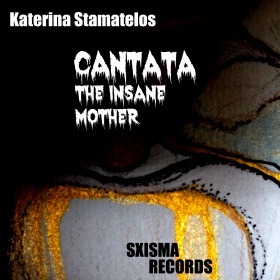 Obviously, the main theme of the Cantata The Insane Mother is "insanity". 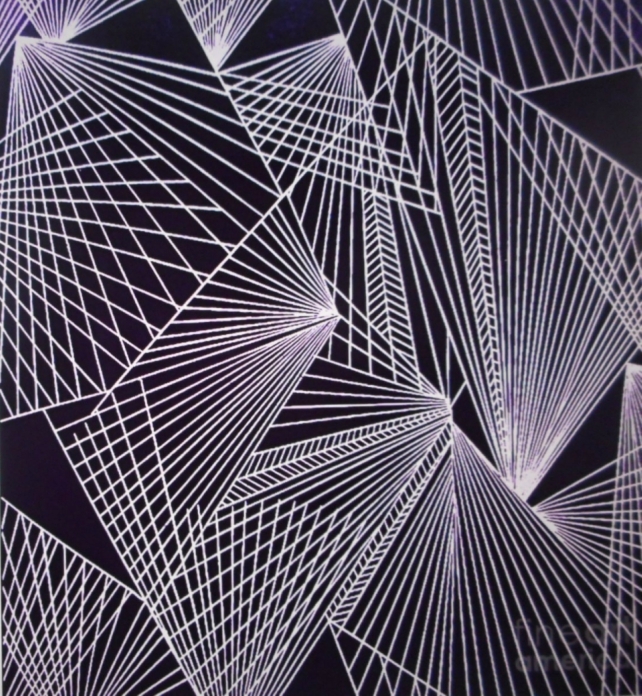 In order to follow the trace of insanity with purely musical means, I chose to write a composition that would operate through several different and yet coinciding structures. The structural plan for Cantata The Insane Mother was guided by this simple technique: only the soloists and the chorus singers would follow the natural structure of the poem, stylized as in an Ancient Greek drama. Having as my guide the despair of the Greeks in confronting death and their complete denial to accept any comfort as offered through Christian faith, I soon started exploiting the suffocating atmosphere of a typical Greek Orthodox cemetery (the second title of the poem). Raising the four double basses to a symbolic "wall of death" (an unsurmountable object), the strings form a web of indifference (the objectivity of cosmos) around mother. In my Cantata The Insane Mother, the three flutes are the only instruments allowed to be expressive, following the poet's inclination to present suffering through nature. The percussion, appearing through two independent patterns, represent the eternal cycles of life and death, while only the solo bass truly weeps and expresses the initial innocence, the despair, and finally the ultimate loss of sanity of the mother. What defines insanity or schizophrenia? Or mental health? Nowadays we seem more accustomed to the term schizophrenia disorder. But little is known about the drama of the people about one or twο centuries ago: in particular, about the drama of sudden/tragic life events that could transform a "normal" person into an "insane" one. Dionysios Solomos, in his poem under the same title, described this transformation in a powerful way. Given the fact that this poem belongs to his youthful ones, the intensity of the result seems even more admirable. Cantata The Insane Mother tries to "capture" the fine line where sanity and insanity meet. The story is tragic, but fairly simple: two siblings were playing at the graveyard of a village when suddenly there was a storm outbreak. The children ran for coverage, but were struck by lightning and fell dead. and their mother lost her sanity. 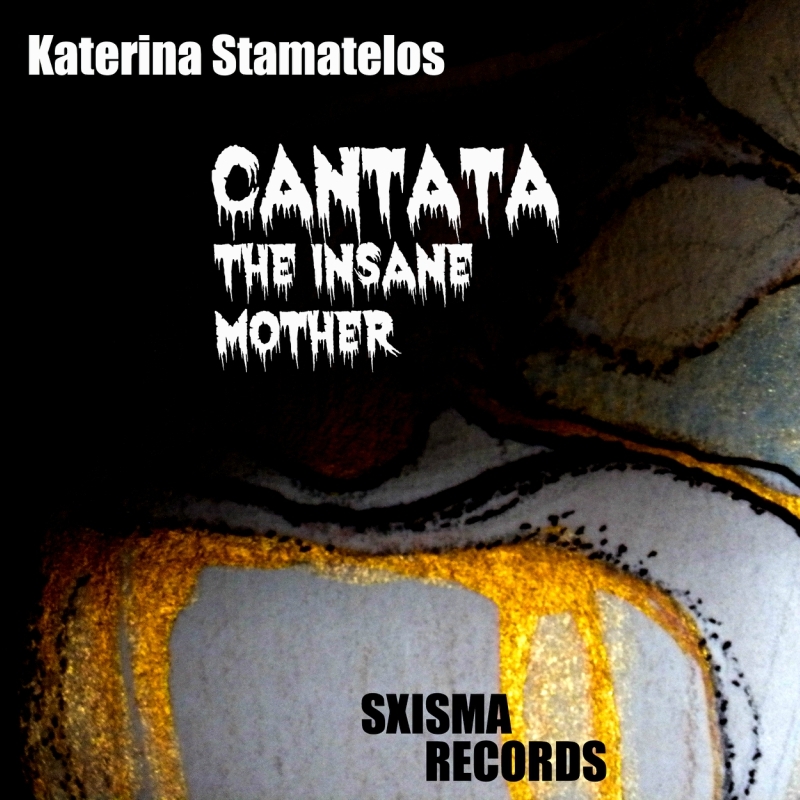 Cantata The Insane Mother: Buy on Amazon! The poem used for the Cantata The Insane Mother (poem's title is "crazy mother", as translated in Greek) is long: I have inserted only three verses, as an example of the poet's mastery in describing the most tragic events with a simplicity that "breaks bones" (as we, Greeks, say). I still remember my father reciting the last verse of the above, as an example of the "best moments of Greek poetry." I will definitely come back to this poem, by entering its complete form, in both the original Greek and its translation. Dionysios Solomos (Greek: Διονύσιος Σολωμός, 8 April 1798 - 9 February 1857) was born in Zakynthos and is best known as the "national" poet of Greece. He is responsible for writing the Hymn to Liberty (Greek: Ὕμνος εἰς τὴν Ἐλευθερίαν). Nikolaos Mantzaros has set the first two stanzas of the poem into music, and these stanzas were declared as the Greek national anthem (1865). Solomos was the main personality of the Heptanese (the seven "Western" islands of Greece, opposite to Italy) School of poetry. His most important contribution was the preservation of earlier poetic trends and the integration of them into modern literature. Dionysios Solomos was the illegitimate child of Nikolaos Solomos (a wealthy count) and his housekeeper, Angeliki Nikli. Nikolaos Solomos's family were Cretan refugees who came to the island of Zakynthos in 1670, after Crete fell to the Ottoman Empire in 1669. Zakynthos was under the Venetian rule at the time Solomos was born: according to the customs of the wealthy Zakynthian families, he was sent to Italy to be educated. Thus, the Italian "version" of the family name is recorded as: Salamon, Salomon, Solomon,Salomone. His father married Dionysios' mother a day before he died, making the young Dionysios a legitimate co-heir of the estate (with his half-brother). After his father's death, count Dionysios Messalas gained the custody of the young Solomos. Messalas sent Solomos to Italy in order to study law (1808): studies in Italy was a tradition among the Ionian islands' nobility. After his studies (that lasted for 10 years) Solomos returned to Zakynthos in 1818, equipped with a strong background in literature. Zakynthos was (at that time) well-known for its flourishing literary culture; thus, the poet made the acquaintance of people interested in literature. They used to gather and amused themselves by making up poems or improvise upon a given rhyme and topic. Solomos's improvised Italian poems of that period were first published in 1822, under the title Rime Improvvisate. Solomos made his first attempts to write in Greek, but this was quite difficult for the young poet, since his main education was Italian. 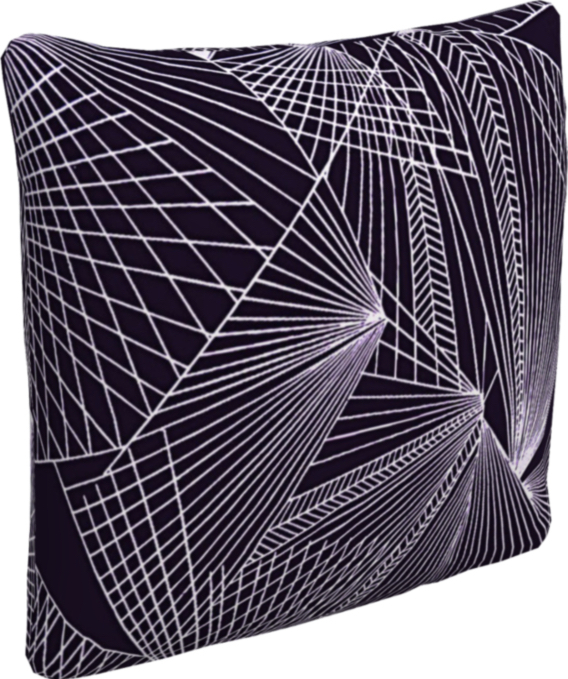 Added to that, he could not find strong poetic works written in the demotic dialect that could be used as models. However, this "handicap" would prove most useful to him, because it prevented him from being influenced by the scholarly katharevousa, a "purist" language that was created by the merging of Ancient Greek with Latin and French. Instead, Solomos wrote in the language of the "common" people of his native island of Zakynthos. In order to improve his skills in the Greek language, he started studying demotic songs, works of poets before his time, as well as popular Cretan literature that featured some of the very best samples of the use of the demotic dialect in modern Greek literature.The result of his studies was the first important body of literature written in the demotic dialect, a move that influenced subsequent writers immensely. I trelli mana (The crazy mother). Solomos' first poems written on Zakynthos were influenced by Italian poetry of that era (e.g. O thanatos tou voskou-The shepherd's death, Evrikomi) and by early romanticism (I trelli mana-The crazy mother). Solomos was heavily influenced by European romanticism, including Byron and Leopardi. He was also exposed to the cultural and political movement of the Enlightenment and the ideas of the French Revolution, and he identified with Italian national sentiments for liberation from the Habsburgs. The turning point in the Greek works of Solomos was the Hymn to Liberty that was completed in May 1823: a poem inspired by the Greek revolution of 1821. The poem was first published in 1824 and was translated into French (later into other languages, too). This resulted in establishing the poet's fame outside the Greek borders. The Hymn to Liberty (Ὕμνος εἰς τὴν Ἐλευθερίαν) started a new phase in the poet's literary work: this is the time when the poet has finally managed to master the language and is experimenting with more complex forms, leaving aside improvisation. It is said that Solomos could hear the canons firing from Zakynthos during the Greek War of Independence, which inspired him to write his most famous works. Cantata The Insane Mother was first performed on April 8, the very same day and month of the poet's birth date! The choice of the particular day was NOT intentional, but rather one of these peculiar "coincidences". It was also rather "peculiar" that the world premiere took place almost exactly three years after my father's death (in April 1, 1998). In Greece, a special ceremony is performed at this time: I consider the Cantata premiere concert as my personal 'ceremony' in honor to his memory. 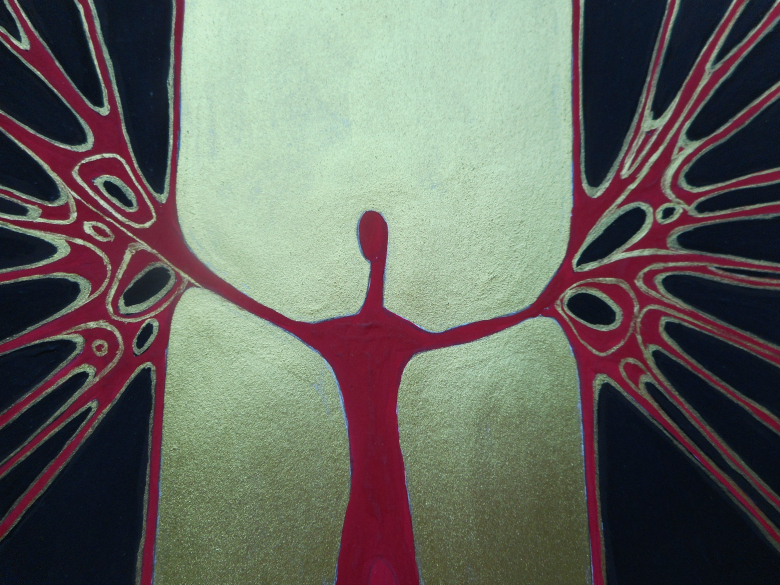 J. S. Bach: Geist und Seele wird verwirret (Spirit and Soul become confused), BWV 35. Bach's output as a whole seems unparalleled in its character, and embraces practically every musical genre of his time except opera. He opened up new dimensions in virtually every department of creative work, in format, density and musical quality, and also in technical demands. An essential component of Bach's style can be seen in his combination of solid compositional craftsmanship with instrumental and vocal virtuosity. The Development of Modern Piano. The modern piano, with its massive metal frame that supports the extreme tension of the strings (up to eighteen tons or 16,400 kg), its soundboard, bridges, action, and three pedals was the result of numerous experiments on the part of piano manufacturers. The impressive innovations of the new instrument are partially due to the extensive demands of the composers of the eighteenth and nineteenth centuries. Josquin des Prez Mass: one of the leading composers of the Mass in the Renaissance was Josquin des Prez. Innovations in composition of melody and use of cantus firmus techniques characterize his style. This paper will discuss these compositional techniques in light of historical influences and scholarly research: the study of history and the insights of Josquin's scholars help us appreciate the imaginative and innovative approach of Josquin to the composition of the Mass.